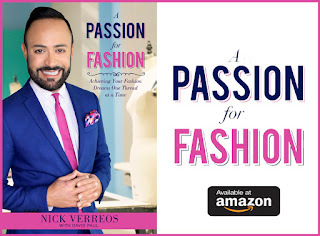 Home » Nick Verreos » Nick Verreos on TV » Nick Verreos TV Guide Network » Tabatha Coffey » TV Guide 2012 Grammy Awards Fashion Wrap » TV Guide Network » TV Guide Network Fashion Wrap » NICK APPEARANCES.....Watch TV Guide Network 2012 Grammys Fashion Wrap TONIGHT! NICK APPEARANCES.....Watch TV Guide Network 2012 Grammys Fashion Wrap TONIGHT! TIME: premiere airing at 8 p.m. ET/PT, 7 p.m. Central--Click HERE for all the times. ** It will also repeat at 11pm and again on Tuesday Morning at 10am!! 0 Response to "NICK APPEARANCES.....Watch TV Guide Network 2012 Grammys Fashion Wrap TONIGHT!"